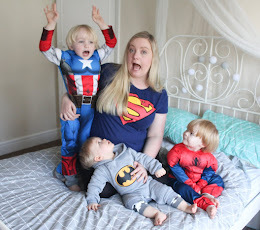 Ever since the boys came along, I feel as though I've been on a never ending mission to source healthy treats that will both satisfy their seemingly endless desire for snacks and not fill me with guilt when I look at the ingredients list! One brand I came across when lunch box shopping for my four year old son Tyne back when he started in reception (and we'd had our first encounter with the lunch box police!) 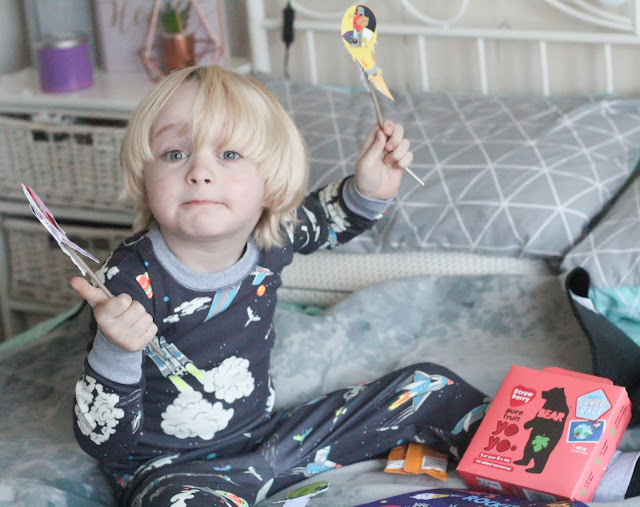 was BEAR Nibbles and they've stayed a firm favourite in our house ever since. 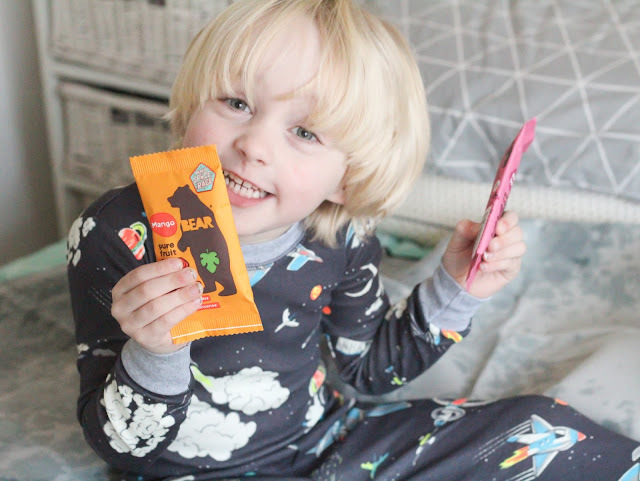 Tyne's favourites have always been the BEAR Yoyo's which took pride of place in his lunch box every day as his after-sandwich treat - he insists that they are just as delicious as any sugary sweet he's tasted but much to my delight they are made with 100% pure fruit and veg with no added sugar or concentrates! Infact each packet contains about the same amount of sugar as 1 small apple...and all BEAR snacks count as 1 of your 5 a day too! 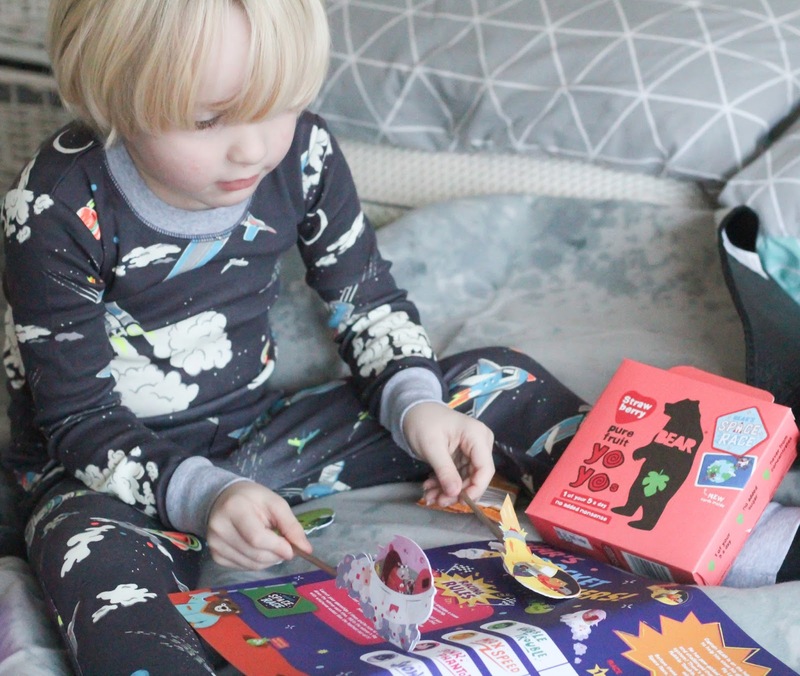 Tyne is at an age where he really loves anything collectable and so the fact that each packet of BEAR Yoyos contains a BEAR Fact Card really appeals to him! 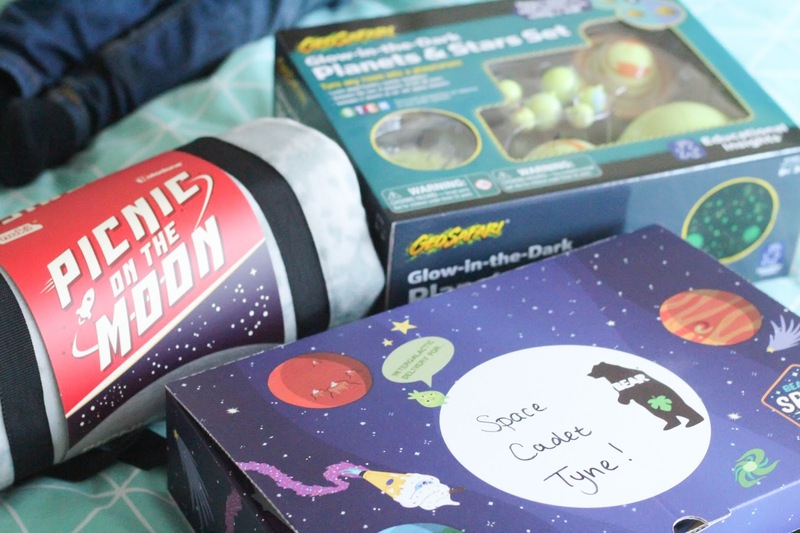 The fact cards focus on a different fun and educational theme every year, and in 2018 that theme is Space! This couldn't have been better timed for us as Tyne has just started a project all around the topic of Space and the Solar system so he was absolutely delighted when a package arrived from his favourite snack brand with some Space themed goodies to celebrate the launch of the new theme! 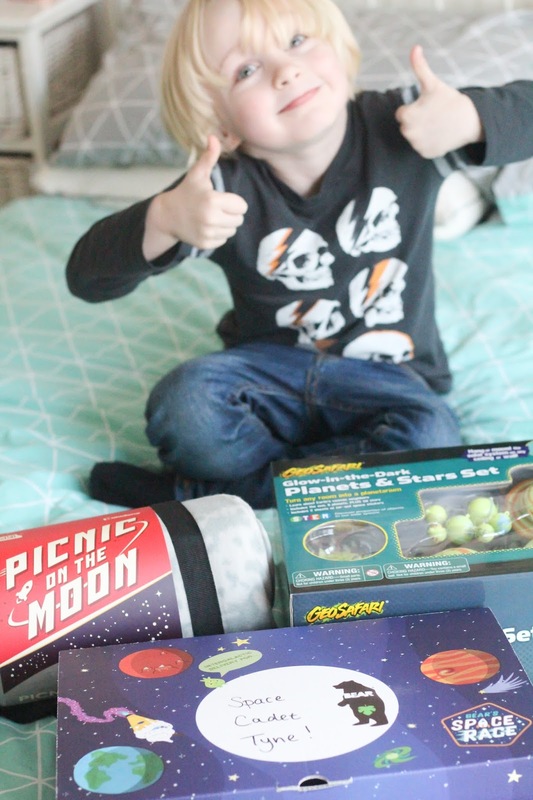 The package contained a beautiful pair of Mini Boden space pyjamas, a fab Moon blanket for living room picnics, a wall mountable Solar System set and of course - plenty of BEAR Yoyos! 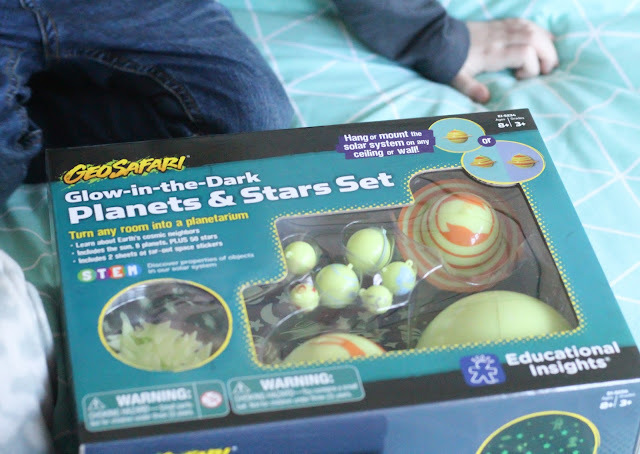 It turns out that Tyne knew all about the space theme with BEAR this year before I did as he exclaimed "I saw the advertisement for this! 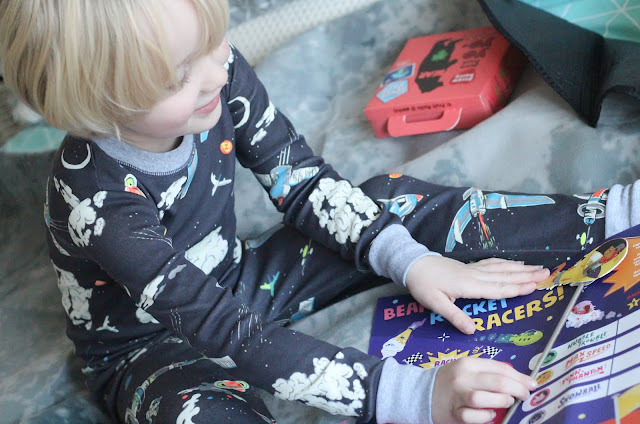 BEAR is in space!" And he is! BEAR is challenging four expert astronauts to a great Space Race around the solar system this year, stopping off at each of the planets and learning fun facts along the way. The cards are such a great conversation starter for children and give a fantastic opportunity to help them learn more about our solar system - they really do add such a fun element to a healthy snack! 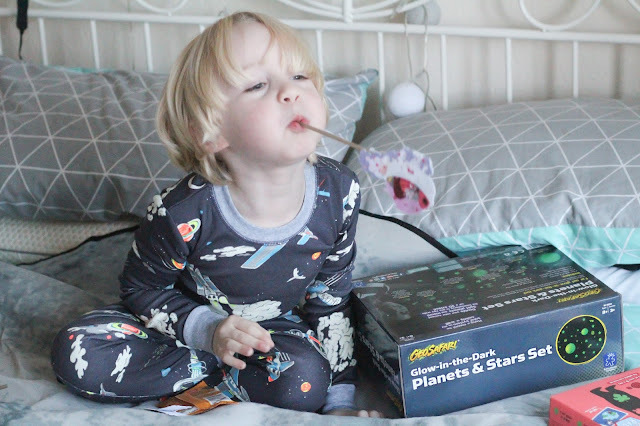 Tyne had so much fun putting together his solar system, while snacking on 1 or 2 Bear Yoyos and chatting about how comfortable his new Pyjamas are - a huge thank you to BEAR Nibbles for sending us such a lovely set. 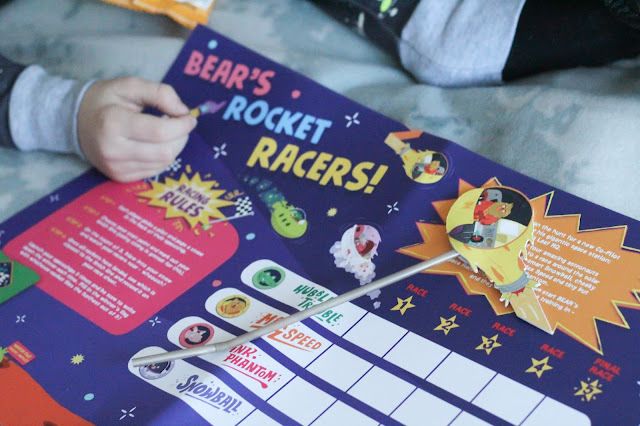 Also included in Space Cadet Tyne's box was a limited edition Space Race game - with some cardboard characters from the adverts and some straws, Tyne had tons of fun conducting his own space race to see which one travelled furthest to win the race - recording his results on the activity sheet! 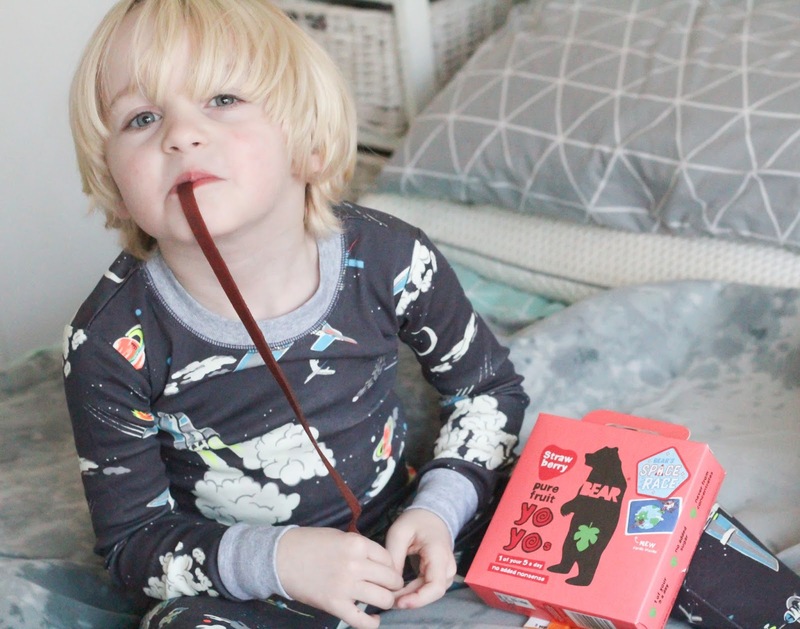 If your little one has yet to try BEAR Yoyos, I highly recommend giving them a try - getting your children's fruit and veg intake up has never been easier than this! My little girl loves these Bear yoyo products and she doesn't realise that its fruit, she thinks its a sweet. So its a sneaky way to get goodness into them. She loves the fact card that comes with it too.